The Auto Ref-Topographer RT-7000 is a 3-in-1 hybrid system consisting of an Auto Refractmeter, an Auto Keratometer and a Corneal Topographer. The most remarkable clinical applications of the RT-7000 are the “Tear Stability Analysis System (TSAS)” and the “Fourier Analysis map”. The TSAS interprets the changes of the mire rings’ distortion on an eye opened for 6 seconds as changes of its tear layer status and displays color code maps to illustrate the locations of those changes. On the other hand, the newly implemented “Fourier Analysis map” performs Fourier analysis for refractive powers at individual measurement points obtained by analyzing Mire images within the ø3 mm range and ø6 mm range, and visually and quantitatively displays the constant term (the spherical component), the first order term (the asymmetry component), the second order term (the regular astigmatism component), and the higher order terms (the higher order irregularity). is very easy – it does almost every- thing by itself. Alignment and measurement are done automatically. 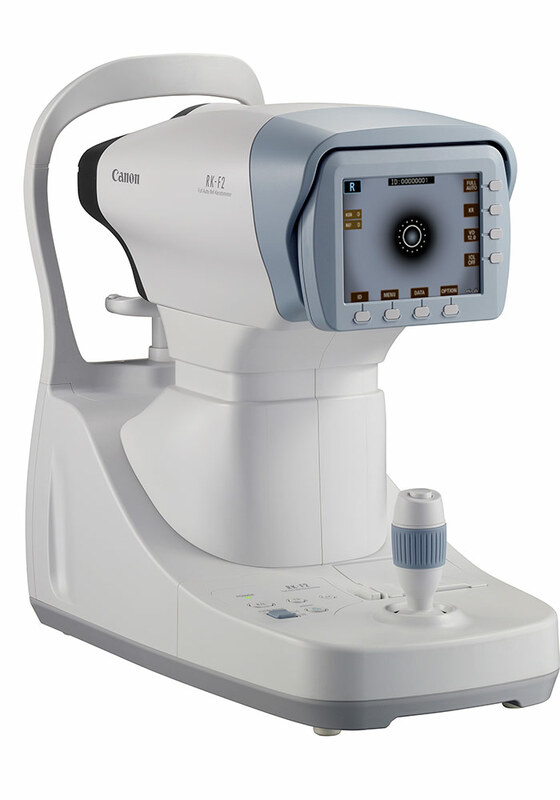 You just roughly align the system towards the patient eye and the rest is taken care of by the instrument. measurement and analysing functions to detect patients with dry eye indication. provide you a quick information about the corneal structure behaviour. The RK-F2 automatically aligns, acquires the readings and then moves over to the opposite eye to perform the same function using the Full Auto mode. Alignment may also be performed using the Auto setting, where only one eye is automatically examined, or using the Manual setting. If the pupils have a diameter as small as 2 mm, readings may still be acquired using the small pupil mode. 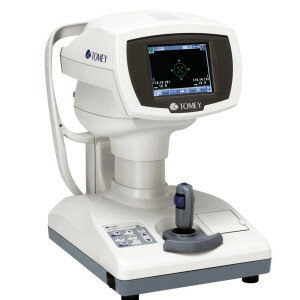 Up to 10 measurements of Refractometry and Keratometry may be stored for each eye. The all-new OptoChek™ Plus Auto Refractor + Keratometer, part of the VisionChek™ Digital Exam Suite, combines technology with simplicity at the core of your exam. 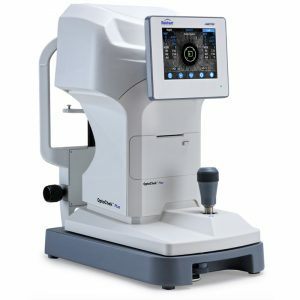 The new, compact, modern design and intuitive user interface of the OptoChek Plus offers the easiest user experience available for measuring objective spherical and cylindrical refractive errors as well as keratometry. 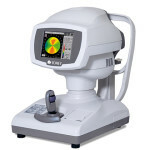 The RC-5000 sets the standard of modern eye diagnostic. Thanks to the electronic controlled movement you can operate and align the RC- 5000 through both – power motion joystick and/or touch screen – all this in fraction of seconds. 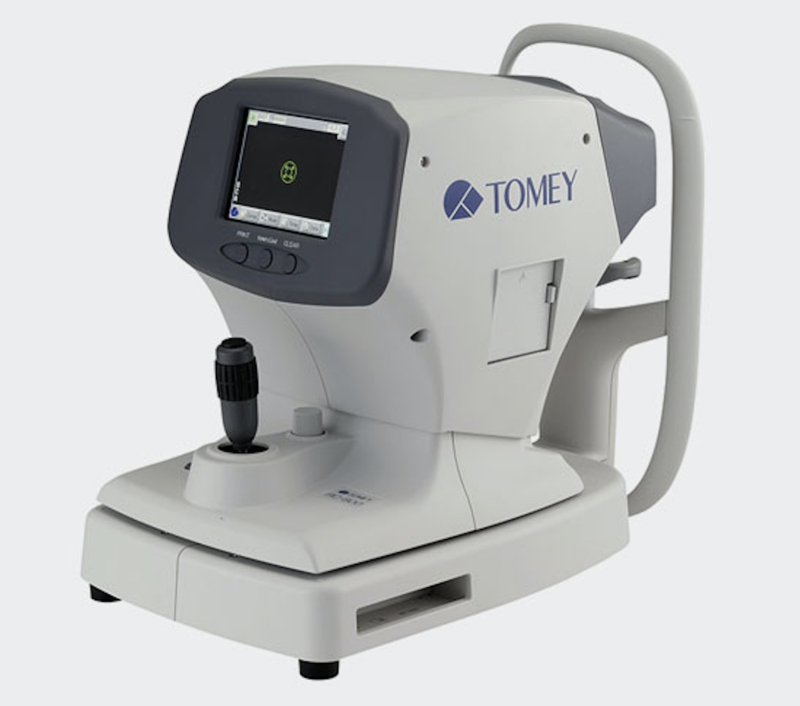 Highly accurate measurements combined with the very short examination time and easy handling makes working with the TOMEY RC-5000 professional and quick.